I am an assistant professor in EECS at MIT. I completed my Ph.D. at Stanford University advised by Prof. Bill Dally. I was a postdoctoral researcher at Google Brain before joining MIT. 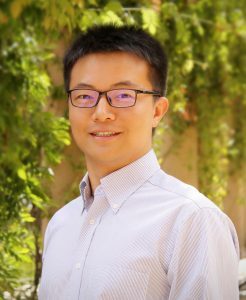 My research focuses on energy-efficient deep learning computing, at the intersection between machine learning and computer architecture. As Moore’s law is slowing down, we often need to first tweak the algorithm to be hardware friendly (e.g. Deep Compression that can compress deep neural-nets by 10-50x), then design the specialized hardware for the target domain (e.g. EIE: Efficient Inference Engine that directly perform NN inference on the sparse, compressed model). Combining algorithm and hardware, the design space becomes very large, so we need AI-assisted design automation (e.g. ProxylessNAS that automatically search the optimal neural-net architecture for target hardware architecture). Several techniques has been adopted by the industry. In the post-ImageNet era, computer vision and machine learning researchers are solving more complicated AI problems using larger data sets driving the demand for more computation. However, Moore’s Law is slowing down, Dennard scaling has stopped, the amount of computation per unit cost and power is no longer increasing at its historic rate. This mismatch between supply and demand for computation highlights the need for co-designing efficient machine learning algorithms and domain-specific hardware architectures. The vast design space across algorithm and hardware is difficult to be explored by human engineers. Therefore, we need hardware-centric AutoML and design automation to bridge the gap. We are recently working on Hardware-Centric AutoML: ProxylessNAS [ICLR’19], AMC [ECCV’18], HAQ [CVPR’19]. I’m interested in application-driven, domain-specific computer architecture research. I’m interested in achieving higher efficiency by tailoring the hardware architecture to characteristics of the application domain, and also innovating on efficient algorithms that are hardware-friendly. My current research center around co-designing efficient algorithms and hardware systems for machine learning, to free AI from the power hungry hardware beasts and democratize AI to cheap mobile devices, reducing the cost of running deep learning on data centers, as well as automating machine learning model design. I enjoy the research intersections across machine learning algorithms and computer architecture. March 2019: ProxylessNAS on MIT News: Kicking Neural Network Design Automation into High Gear and IEEE Spectrum: Using AI to Make Better AI. So far, ProxylessNAS [ICLR’19] => AMC [ECCV’18] => HAQ [CVPR’19] forms a pipeline of Hardware-Centric Design Automation for Efficient Neural Networks. Feb 2019: Song presented “Bandwidth-Efficient Deep Learning with Algorithm and Hardware Co-Design” at ISSCC’19 in the forum “Intelligence at the Edge: How Can We Make Machine Learning More Energy Efficient? Jan 2019: Song is appointed to the Robert J. Shillman (1974) Career Development Chair. Dec 2018: Congrats Xiangning received the 2nd place in the feedback phase of the NeuraIPS’18 AutoML Challenge: AutoML for Lifelong Machine Learning. 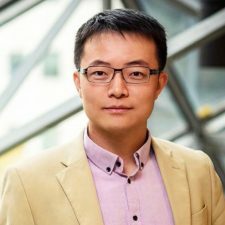 Sep 2018: Song Han received Amazon Machine Learning Research Award. Sep 2018: Song Han received SONY Faculty Award. June 2018: Song presents invited paper “Bandwidth Efficient Deep Learning” at Design Automation Conference (DAC’18). The paper talks about techniques to save memory bandwidth, networking bandwidth, and engineer bandwidth for efficient deep learning. Mar 26, 2018: Song presented Deep Gradient Compression at NVIDIA GPU Technology Conference. Feb 26, 2018: Song presented “Bandwidth Efficient Deep Learning: Challenges and Trade-offs” at FPGA’18 panel session. Jan 29, 2018: Deep Gradient Compression is accepted by ICLR’18. This technique can reduce the communication bandwidth by 500x and improves the scalability of large-scale distributed training. [slides]. PhD, UROP and summer intern applicants: please email han [dot] lab [dot] mit [at] gmail so that it won’t be filtered.